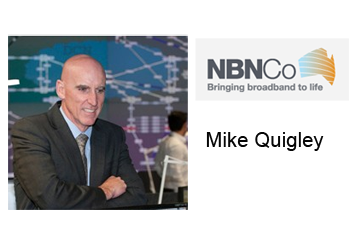 Mike Quigley is stepping down as CEO of Australia's National Broadband Network. Quigley said he will continue to serve as CEO until the Board appoints a successor. He plans to retire from corporate life after four years leading NBNCo. "My job was to lay the foundations for the NBN for the next 30 years. That job is largely complete. NBN Co is now a well-established wholesale telecommunications company with a nationwide workforce, delivery partners, infrastructure agreements, complex IT systems and more than 40 retail customers which are supplying fast, reliable and affordable broadband to a growing number of Australians," stated Quigley. Quigley previously served as President and COO of Alcatel. 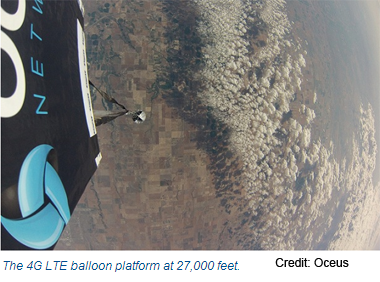 Oceus Networks, a start-up based in Reston, Virginia, demonstrated the deployment of an LTE base station in a high-altitude balloon. The idea to create an easily deployable emergency network that could cover a wide geographic area within the first 72 hours of a natural disaster. 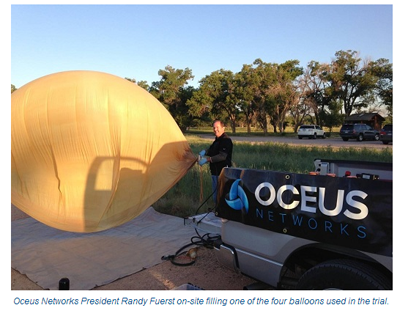 Last week, Oceus and Space Data launched an airborne 4G LTE cellular network near Boulder, Colorado. The payload traveled nearly 200 miles and reached an altitude of 75,000 feet (22,860m). The team used Band 14 devices – data modems (the VML 700) and smartphones (the LEX 700) – both provided by Motorola Solutions, to connect to this mobile airborne LTE network. The test was conducted in coordination with the National Telecommunications and Information Administration (NTIA), National Institute of Standards and Technology (NIST), and the Public Safety Communications Research (PSCR) program. Space Data specializes in high-altitude balloon system design, payload integration and flight operations. Oceus has integrated a military-grade LTE solution called Xiphos. Oceus said its experiment supports the Federal Communications Commission (FCC) Deployable Aerial Communications Architecture (DACA) initiative, which is exploring the role of High Altitude Platforms in the national public safety network. "This successful demonstration underscores the role of 4G LTE in a rapidly deployable aerial communications architecture, particularly during the first crucial hours after disaster strikes, when deployable broadband technologies are critical,” said Douglas C. Smith, chief executive officer of Oceus Networks. “We look forward to continuing our work with federal policymakers and first responders on deployable solutions for extending the reach of the national public safety network, FirstNet." A new IEEE 802.11 study group has been set up to define the scope of a new standard for high-efficiency, high-performance wireless local area networks(WLANs). The new IEEE 802.11 High Efficiency WLAN (HEW) Study Group will consider use cases, including dense network environments with large numbers of access points and stations. IEEE said it has received interest from more than 300 individuals from equipment and silicon suppliers, service providers, carriers, systems integrators, consultant organizations and academic institutions. In addition, an IEEE 802.11 Pre Association Discovery (PAD) task group has also been formed to explore the scope of a future 802.11 amendment intended to improve user experience by providing information about network devices and services beyond the access point prior to full connection establishment of a device to a wireless local area network (WLAN). 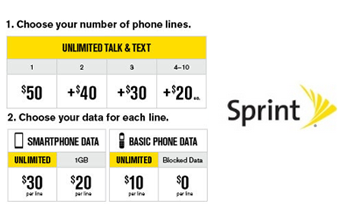 One day after its acquisition by Softbank, Sprint launched an "Unlimited Guarantee" initiative that offers unlimited talk (calls to any wireline or mobile phone), text and data while on the Sprint network, for the life of the line of service. This guarantee is applicable to both new and existing customers who sign up for Sprint’s new Unlimited, My Way plan or My All-in plan. "Sprint continues to lead the industry in providing customers with simplicity and value,” Sprint CEO Dan Hesse said. “The Sprint Unlimited Guarantee allows our customers to lock-in unlimited talk, text and data not for just the next two years, but for life. Sprint customers won’t have to worry about their wireless bill or managing their family’s wireless usage. While other wireless providers are moving away from unlimited service, Sprint champions it." EMC agreed to acquire privately-held ScaleIO, which develops server-side storage software. Financial terms were not disclosed. ScaleIO creates a virtual pool of server-based storage by logically combining SSDs, PCIe Flash cards, HDDs—or any combination of these devices. It supports both virtualized and non-virtualized environments and scales from tens to thousands of servers. ScaleIO is based in Santa Clara, California. EMC will combine ScaleIO's server software with PCIe Flash cards, such as EMC XtremSF, in Enterprise Private Cloud and Service Provider environments. “Flash now permeates every layer of IT—in virtualized and non-virtualized environments. Enterprise workloads are diverse in nature, and EMC is committed to offering our customers and partners choice in their Flash deployments. ScaleIO is a natural extension to our best-of-breed portfolio. It strengthens our product capabilities in the area of server-side storage and brings a world class team that will undoubtedly enable us to innovate more quickly in the future," stated David Goulden, President and Chief Operating Officer, EMC. Earlier this week, EMC announced its acquisition of privately held Aveksa, which specializes in Identity and Access Management. Aveksa solutions help define rich user profiles and increase the convenience of managing user identities, allowing customers to continue building “situational perimeters” that can flexibly enforce security whenever and wherever users interact with corporate data and resources. EMC said Aveksa aligns with its intelligence-driven security strategy, leveraging insight from roles, processes, and security-oriented Big Data to enable better evaluation, prioritization, detection and response to real-time threats. Aveksa is based in Waltham, Mass. Ofcom is proposing lower prices that Openreach, BT’s network access division, can charge other telecoms providers for some of its main wholesale services. 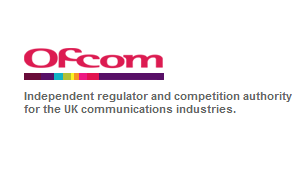 Ofcom regulates these prices because of the significant market power that BT holds in this sector. The proposal covers wholesale charges for telephone and standard broadband services delivered to homes and businesses over BT’s copper network. Ofcom said the new prices would be linked to inflation (measured under the consumer price index, or CPI). Wholesale line rental: the regulated wholesale price today is £93.27 per year. Under Ofcom’s proposals this will fall in real terms by between CPI − 2% and CPI − 8% every year. A public consultation is underway. The European Commission initiated unannounced inspections at the premises of a number of telecommunications companies, saying it has concerns that the companies may have violated EU antitrust rules that prohibit the abuse of a dominant market position. Various news reports said the raids included Deutsche Telekom, Orange and Telefonica in response to a complaint by U.S.-based Cogent Communications. 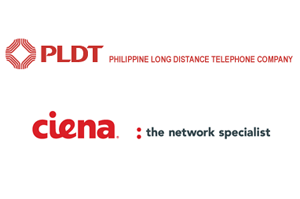 Philippine Long Distance Telephone Company (PLDT) has deployed Ciena’s 5410 Packet-Optical Reconfigurable Switch System (RSS) and OneConnect Intelligent Control Plane software across its global network. PLDT is building a global mesh that interconnects points of presence worldwide into a highly resilient, intelligent switching network. Ciena’s 5410 RSS will link PLDT’s global points of presence to provide efficient aggregation, grooming and intelligent switching of SONET/SDH, OTN and Ethernet services with flexible tiered service-levels and differentiated service offerings. “As the largest telecommunications provider in the Philippines and a rapidly growing international carrier, it is critical that our infrastructure is highly reliable and capable of delivering robust broadband service and applications,” said Napoleon L. Nazareno, President and CEO, PLDT. “With the implementation of Ciena’s intelligent optical mesh network solutions across our international network, we are able to give our enterprise and wholesale customers a variety of low-latency, high-capacity services with the utmost assurance, putting us on par with large global carriers,” he adds. Talari Networks appointed Kevin Gavin as Chief Marketing Officer. Gavin joins Talari from ShoreTel, where he was CMO since 2007. Talari Networks' solutions aggregate multiple diverse networks into a virtual WAN for improving reliability and application performance. The company is based in San Jose, California.